Working and living on Plymouth's coast. Jacob joined our Plymouth office in 2017 as a graduate mechanical engineer, after completing his studies at the University of Plymouth. 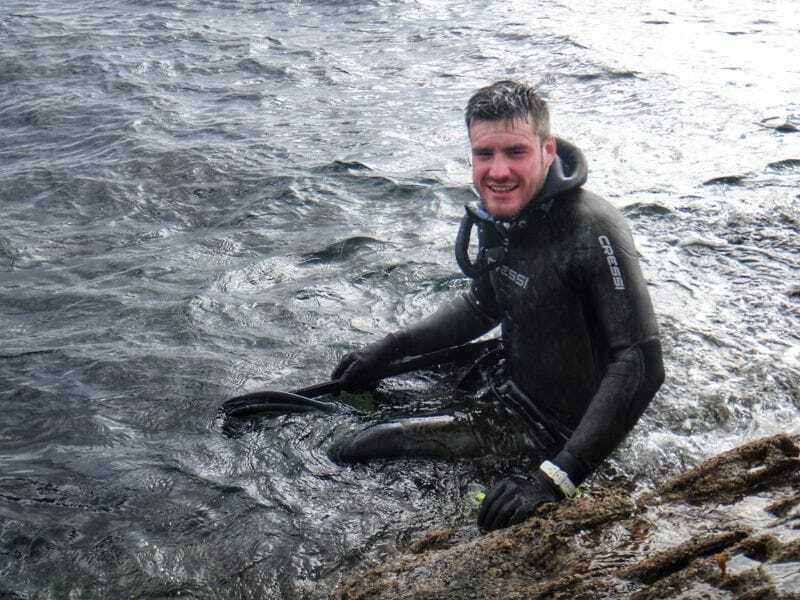 Having previously worked in England and abroad as a watersports instructor, outside of work Jacob spends his time in and on the water, although the two do cross paths occasionally…! I enjoy problem-solving and making things so, from a young age, being an engineer appealed to me as an interesting profession. Besides this, engineering is an expanding industry with no shortage of reasonably paid career opportunities – something which my previous line of work was lacking! I combined my interest in spearfishing with engineering and wrote my dissertation on an analysis of speargun performance. Spearfishing is quite an uncommon activity despite the abundance of life that is available from our coasts. It’s also one of the most sustainable fishing methods since you can target a fish of a certain species and size, and there are none of the negative effects (such as bycatch or damage to habitat) that are prevalent in other fishing methods. Plymouth Sound is an ideal location for this activity since its waters remain sheltered in most weather conditions. The sea around this part of the coast host a huge variety of life, and going into the water you never know what you will come out with. Living and working in Plymouth means I get to work on interesting local projects, and it’s barely more than a stone’s throw from the sea. is the renovation of Fort Bovisand. This is one of the many fortifications that was built to protect Plymouth from invasion, and it’s also one of the locations that I frequently swim past while out spearfishing! It was previously used as a dive centre, and my grandfather also tells me stories of when he went there as a scout leader in the 1970s. The site has great historical significance – the first fortification having been built around 1845. In terms of engineering, the uniqueness of this site means each dwelling requires thoughtful coordination, with few replicable systems. has been an interesting initiation to the engineering industry. The location of the office is enviable, and the range of projects we work on seems really diverse. The people here are great and, despite the funny looks, they don’t seem to mind when I steam my fish in the microwave! !